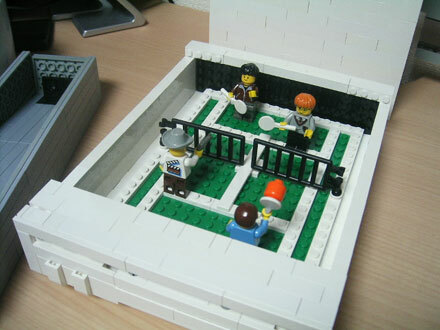 All things considered, this Lego-based rendition of a Wii probably isn't the most difficult feat of Lego craftsmanship to accomplish, but still... it is a Wii made out of Lego. While obviously not functional (we'll need to get Ben Heck on the job for that), the LegoWii does at least open up, with enough space on the inside to display some less-than-faithfully recreated scenes from Wii Sports (check out one of 'em after the break). Now, if someone would just put their Lego skills and Mindstorms know-how to work to reproduce Nintendo's R.O.B. robot in brick form, we'd be all set.